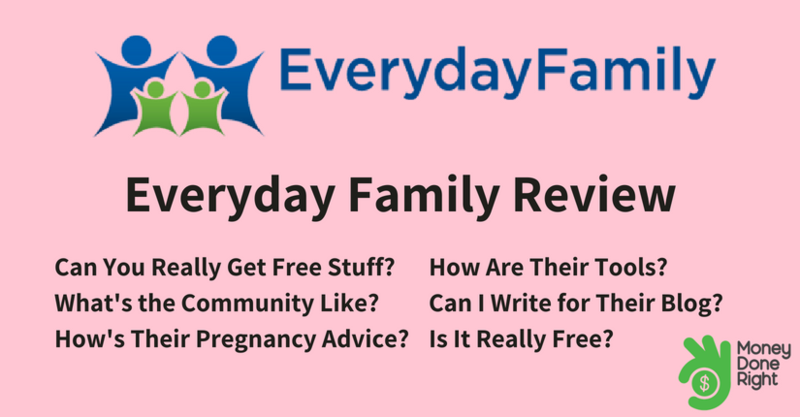 Everyday Family Review: Can You Really Get Free Samples and Save Money? Everyday Family is a comprehensive website that provides resources for families, whether you’re a new parent or already have an established household. The site was initially founded by a young couple that was soon to become parents and the site has quickly turned into a thriving parenting community. The website is a fantastic resource to receive parenting newsletters, connect with a broader parenting community, get coupons and discounts on products and services, and even win free products and services for your family. Whether you’re a parenting expert or soon-to-be parents, Everyday Family is a one-stop shop for all of your parenting needs. In our Everyday Family review, we’ll show you why this site is such a great resource for all kinds of families. Click here to sign up for a free Everyday Family account today to unlock access to expert parenting information, exclusive discounts, and a chance to win free stuff! Everyday Family Review: Why Everyday Family? No matter where you are in the family planning process, Everyday Family is there to help. Everyday Family is your comprehensive resource for parenting tips and advice, as well as coupons and discounts on products. From preconception to preschool and more, Everyday Family provides relevant advice and information from parents and parenting experts around the world. You’ll get weekly newsletters tailored to your specific needs and interests, so you’ll always get helpful information right in your inbox. Whether you want to be actively involved in an online parenting community or you just are looking for some additional information, Everyday Family has just what you’re looking for. Sign up for a free account today to unlock access to expert parenting information, exclusive discounts, and a chance to win free stuff! We know how important it is to feel safe and confident in the products you purchase for your family, especially when it comes to food and formula. Everyday Family also knows how important it is. That’s why Everyday Family has an extensive selection of high-quality samples for you and your family to test before purchasing products. These samples are completely free of charge and give you peace of mind when choosing products for your new baby. You can access these samples in the Free Baby Stuff section of the site, where you’ll find countless product offers to test before you make a purchasing decision. Not many other sites offer this wide of a sample selection, which is one of the many reasons we love Everyday Family. Everybody loves free stuff, and Everyday Family partners with some of the top parenting brands to bring members exclusive freebies. When you sign up to become part of the Everyday Family community, you’ll be able to browse through current offers and select the ones that interest you. You’ll find offers such as free products or digital content to help you with parenting resources. For example, there’s an offer for a free Baby Welcome Kit from Target or up to $400 in coupons from Enfamil. The first tab on the Everyday Family website is the Community tab, which is where you’ll find a vibrant and interactive community of helpful parents and parenting experts. As the page mentions, there’s only so much books and articles can teach you about parenting. Oftentimes the best way to learn is to speak with other parents and experts, and the community page on Everyday Family allows you to do just that. The page is set up in a simple to use question and answer format where you can browse other users’ questions and even submit your own question. With countless questions already listed, chances are you’ll be able to find the answer to your exact question, and if you can’t, all it takes is a few clicks to submit your question to millions of users that are waiting to help. The community page is especially helpful because it doesn’t take a lot to manage it, meaning you don’t have to register for an account, monitor posts, or manage it like a social media account. All you do is submit a question and wait for expert answers to start rolling in, which is a great way to quickly get the information you need while making a connection with this fantastic parenting community. At the bottom of the community page, you’ll find links to connected blogs, which are wonderful resources for parents (we will go into more details about the blogs later in our review). The right-hand panel of the page has fun, interactive polls as well as relevant links to parenting articles for you to browse. Overall, we think the community page is extremely well done as it’s simple to use while still fostering a close-knit community of parents. The remaining tabs along the top navigation bar guide you through the various stages of parenthood, the first being preconception. This is the first page that should be visited for expecting families and provides a vast database of resources for soon-to-be parents. This page is very simple and straightforward and makes information easy to find. The left-hand column lists popular topics and subtopics that you can explore, and there is a search bar that allows you to search for information relating to preconception. The right-hand column lists top articles and blog posts that have been chosen by the editors so you can see what topics are currently trending. Editor’s picks are continually changing so there’s always relevant information on the front of the preconception page. Hovering over the tab expands your options and allows you to find tons of information about various preconception topics. You’ll find options like blog posts, tips and tricks, polls, and even an ovulation calculator. The pregnancy section of Everyday Family is a much more interactive section than the preconception page. When you first click on the tab, you’ll have the option to track your pregnancy through the baby development tool, which is a valuable resource for all expecting parents. The information pages are structured similarly across topics, making it easy to find the information you’re looking for. With easy to navigate content categories and continually-updating editor’s picks, you’ll find relevant information every time you visit this page. Hovering over the pregnancy tab will allow you to view topics such as the various stages of pregnancy, pregnancy blogs, and even tools such as a gender predictor and due date predictor. The baby page has everything you need to know about being a new parent and has a robust selection of articles and blog posts that are easy to access and filter through. This page also embeds the development tracker, which is a nice tool to have throughout the site. You’ll find information on week by week basics, your baby registry, tracking milestones, and even a blog chronicling a baby’s first year. Becoming a new parent is always exciting, and this page has tons of great information on navigating being a new parent. It may not seem like it, but being a parent also involves taking care of yourself. We love the fact that Everyday Family has a lifestyle section because it’s so important to focus on yourself and your relationships with friends, family, and your partner. You’ll find awesome information about strengthening relationships, staying fit, budgeting, dating and single parenting, recipes, and even grocery coupons. What a really makes Everyday Family stand out from other parenting sites is the impressive network of blogs that are associated with the site. Rather than having a single dedicated blog that’s embedded in the Everyday Family site, Everyday Family partners with top family bloggers to create valuable, relevant content for readers. There are countless blogs that partner with Everyday Family and post content to the blog page, which means you’re getting expert advice from parenting experts. If you want to contribute to the Everyday Family blog network, there’s a link to apply to become an Everyday Family blogger right on the community page. You can apply to be a regular contributor or you can apply to submit a guest post to the site. This is a great way to get involved in the Everyday Family community and share some of your parenting experiences with the world. We love the interactive tools on Everyday Family. The most popular tools are the Baby Name List, Gender Predictor, Ovulation Calculator, and Due Date Calendar. While you should always consult your healthcare provider, these are fun, informational tools that you can use to help you on your parenting journey. You can find links to these tools on the home page or scattered throughout the various information pages on the site, making them very easy to find and access when you need them. The simple navigation is one of the best parts of the site. It’s easy to understand what you’re seeing and to find what you need, and the navigation bar on the top of the site clearly lists categories for you to browse. Underneath the main navigation bar, you’ll find a second navigation bar that lists currently featured sections of the site. While a second navigation bar may sound like it clutters up the page, the design makes it appear very clean and organized. In this second navigation bar you’ll find things like sweepstakes that you can enter for free products, free baby stuff, grocery coupons, polls, and information about charities that Everyday Family supports. You’ll also get a personalized account page when you sign up for your membership that shows information and articles that are relevant to your needs and interests. Signing up is incredibly simple and comes with a ton of fantastic benefits, no matter what parenting stage you’re in. All you need to do is click this link to sign up for your expert parenting resources. Once you sign up, you’ll be able to select your free offers and start getting newsletters right to your inbox. You’ll also be able to have your questions answered on the community page and take advantage of exclusive coupons and savings for Everyday Family members. When you set up your profile, Everyday Family will analyze the information on your profile to send you relevant, targeted content to your email. That means you’re going to get information that you’re interested in, and Everyday Family will never sell your contact information. The best part about the registration process is that it is completely free. Some parenting websites may charge you a subscription fee just for the information you’ll have access to. Everyday Family provides incredible resources created by parents and experts absolutely free. In addition to the countless articles, blog posts, and parenting resources, you’ll be able to get free products and discounts on the things your family needs. These exclusive offers are just for Everyday Family members, so by taking just a few minutes out of your day to sign up for a free account, you’ll start enjoying significant savings. It’s tough to find a more comprehensive parenting resource out there. 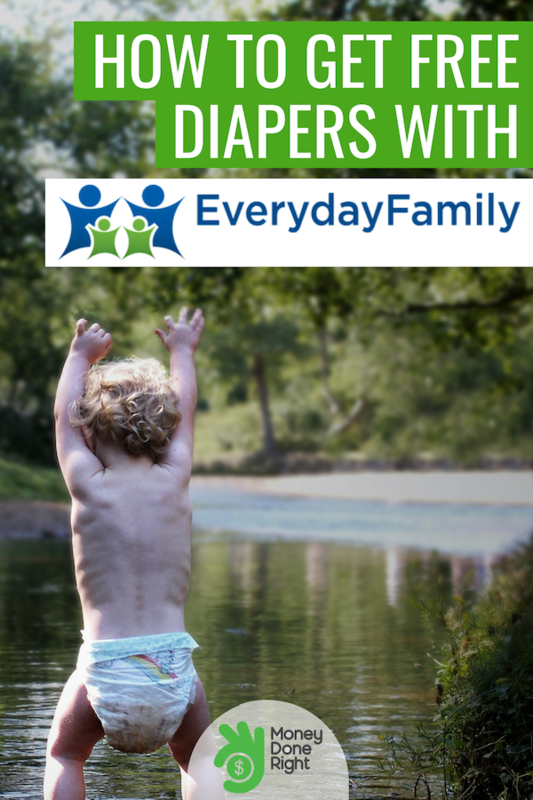 Everyday Family not only provides relevant, useful information for all stages of parenting, you’ll also get incredible deals and discounts and even have the opportunity to get free products. The information alone is incredibly valuable, and simply signing up for a free account gives you access to awesome discounts and free stuff for your family. From great information to everyday samples and discounts, you’ll find everything you need on Everyday Family.